Good friends are a huge part of the way the Lord speaks truth into my life on a daily basis. They are Jesus to me with skin on. Overwhelmed by an intense work schedule over the weekend, I wasn’t sure if I would be able to squeeze in the time to blog. 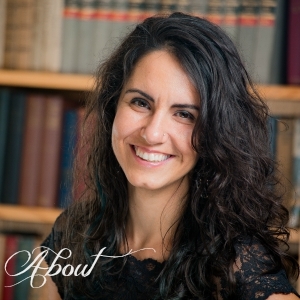 When a friend* whom I’ve been encouraging to start a blog, offered to guest post for me, I couldn’t say no! Please enjoy. “How often do you pray for yourself and about what God wants to do in you?” The question hung in the silence between the two of us. 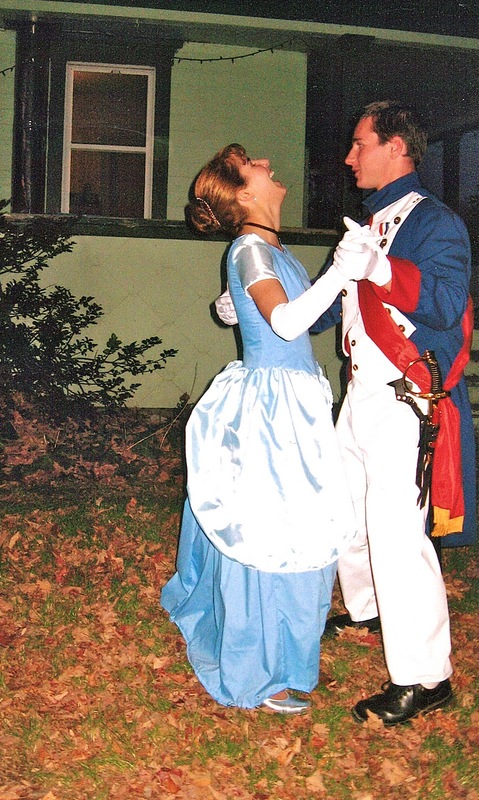 We were parked in his driveway the car filled with the despair and frustration that was welling up inside my heart. Yet as he asked me that question I had to think honestly about it. Most of my prayers were for those around me, my friends, my family, students I taught. Yet how often had I prayed about what God wanted to do in me and in my life? How often had I asked God to reveal what He wanted me to see? God to me has been distant, the judge in my life, always setting goals and standards that are out of reach. With every attempt I made to reach the goals of distant perfection – discouragement followed, building up with each failure. Piercing through that discouragement, my friend asked me how often I pray for myself. Recently God has been stirring me to seek Him for all of who He is, not the God of judgment, though certainly God holds all sovereignty and judgments in His hand, and certainly not a God of cruelty who sets standards impossible to reach, just to watch us fall. God wants and has been calling me to understand His character to its fullest, a God of love and compassion, a God of relationship. 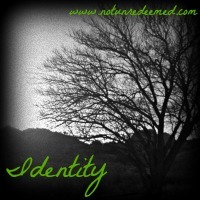 As I sat in the car for the first time in a long time I gave voice to my doubts and fears about who God was. About the failings that seemed to push me further and further away from the God who I knew was King of my life. My friend began to share a bit of his journey and as we talked he asked how often I prayed about myself and for myself. Not about things I wanted or needed but about laying out what my heart truly felt. Laying out my heart with no boundaries, no hidden doors wherever that led, to the God who created me and just wanted me to come to Him. As he spoke I finally just told him to be quiet because I had the overwhelming sense just to pray. And so I prayed….all the despair and frustration and pain and loneliness from the past year welled up out of the depths of my soul, and in that moment sitting in the driveway, Christ granted a taste of overwhelming grace. How do I respond to that? I couldn’t. And my friend suggested it was because I haven’t prayed about what God wanted to reveal in me and through me. I was too focused on the issues that I thought should take priority. It was as if God were saying “Don’t worry about others right now or about that list of issues you think you need to fix. I know about them but I want to focus on you and I. Ask me what I want to show you.” And as my friend and I prayed in the car there was only one response, a cleansing grace and an assurance of love. Love that looked beyond the failures and fears in my life, beyond the deep seeded feelings of inadequacies, of not being good enough, into the heart of who I am at my core; it was a love that accepted me for every flaw simply because I am His. In that moment, in a driveway along a country road where once was despair, and hurt, and pain there was now only gratitude, hope, and tears as I caught a glimpse of what the love of the King of Heaven truly looks like. It was a moment of peace when the only sound was of spiritual chains beginning to fall away from a heart that is slowly being released into the freedom of who Christ truly is. *Guest post by Daniel Miller. Dan is a long time family friend, a middle and high school Biology teacher, soccer coach and lover of all things nature. Today’s Tidbit of Truth: The Lord wants us to pray to Him about us. 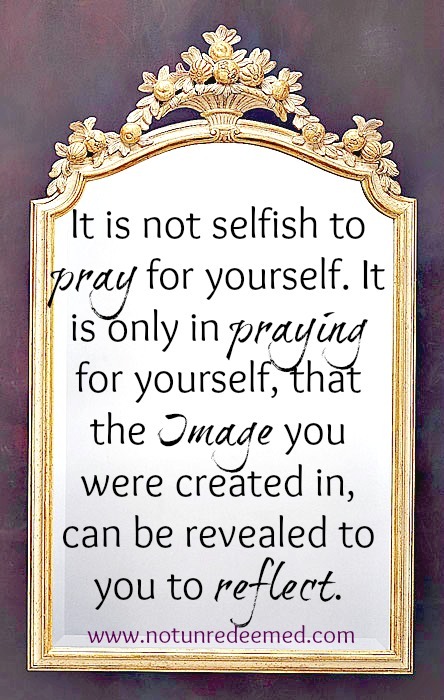 It is not selfish to pray for yourself, it is only in praying for yourself, that the Image you were created in, can be revealed to you to reflect. One cannot see the truth of one’s true reflection unless they first stand in front of the mirror. Bring yourself before Him. 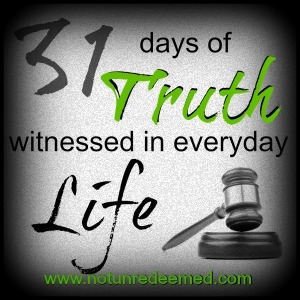 Categories: 31 Days of Truth, guest posts, seeking God | Tags: 31 Days of Truth, Guest Posts | Permalink. Lonely and cold, full of dust, pages unturned, smelling of must. The room was closed and silent too, waiting for light just to shine through. One day a door was opened wide, to reveal a man who stepped inside. Then He came to the ledge, where that book was sitting on the edge. Upon a desk he laid it down and took a moment to glance around. He reached up high to open a shade and sunlight poured in from the outside glade. 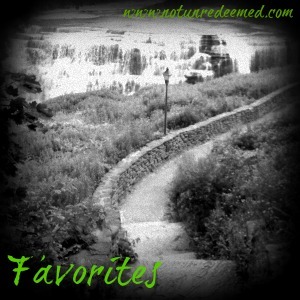 Categories: guest posts | Tags: Guest Posts, Musings | Permalink. 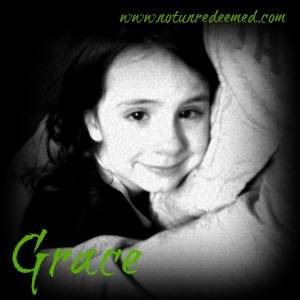 Categories: guest posts | Tags: Guest Posts, Kindred Grace | Permalink. I’m so excited to feature a guest blog, (especially for my male readers) from a good friend Jeremy Holden. I am blessed to be able to bounce many ideas off of him and his wife Trina. 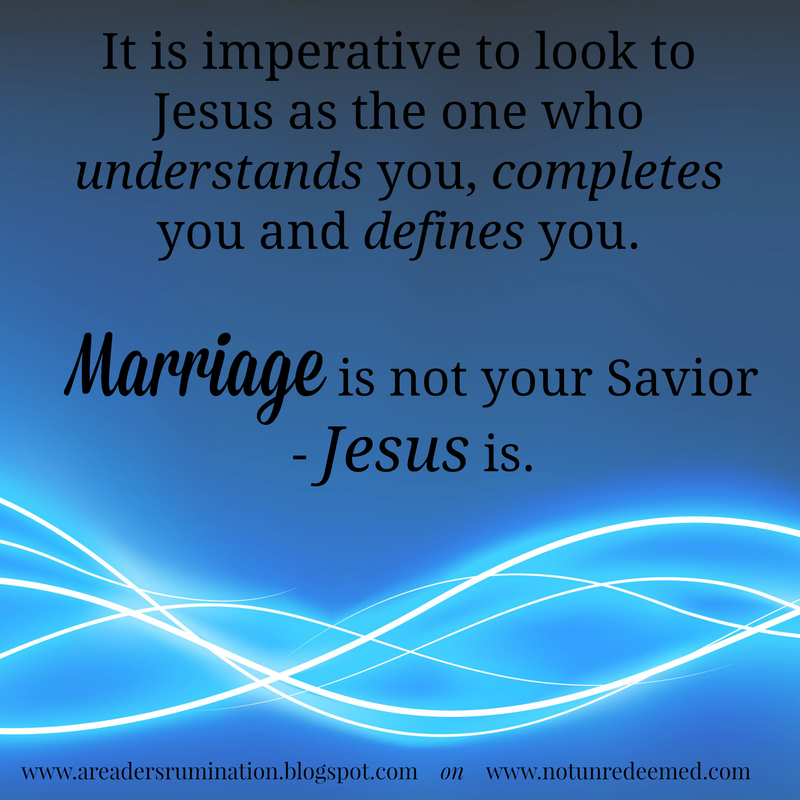 Why do we have so many mature, godly, eligible guys and girls who are still single? I believe many Christian young people (and maybe even you) have been deceived and have fallen victim to one of Hollywood’s most pervasive lies. Now before you completely tune out, hear me out on this. I can hear you saying “I know Hollywood lies and I wouldn’t fall for it” but that’s the thing about being deceived, if you knew you were deceived – the lie didn’t work. 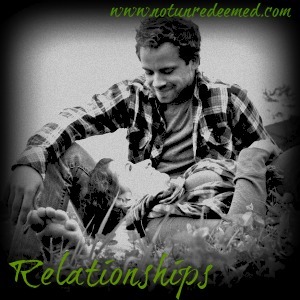 As a Christian, it’s easy to see that the “friends with benefits” and the “one night stand” relationships we see depicted in the movies and on tv are wrong. I think the devil is using a better disguised and therefore more dangerous lie. The result of this lie is that we have almost an entire generation of young people who are not getting married and therefore not able to raise up the next godly generation. 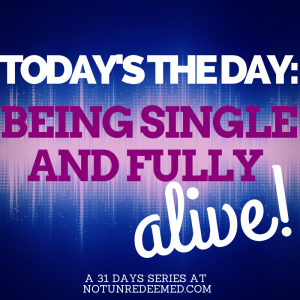 Categories: dating, Favorites, relationships, singleness | Tags: Guest Posts, Relationships, Singleness | Permalink.